*HUGS* I'm so glad to have you back. I've been thinking of you and saying prayers. Reading...oh, I just finished reading Balough's SOMEONE TO CARE (I wasn't sure about the hero or the HEA), but I really liked having a heroine who was 42. And it was funny with all the family meddling. I also read Sophie Jordan's THE DUKE BUYS A BRIDE because the premise was intriguing; and once again, I wasn't sure how a HEA was going to happen--and I felt some of the situations forced one (and thus will there be a time where he regrets what happened)--but otherwise it was really HOT and really good. I'm currently reading THE MINIATURIST because I'm watching that on PBS. It's in present tense and kinda odd, but at the same time interesting. I listened to ALL THE EVER AFTERS which was a retelling of Cinderella from the stepmother's POV and it was really really good. I recommend that one. And of course, I read the new Tessa Dare and Lorraine Heath books....both divine! Thanks for the hugs, Hellie. Sending some to you too. I'm definitely checking out ALL THE EVER AFTERS. That sounds so intriguing. Like you, I LOVED both the Dare and Heath books. So good! Sending Hugs. I am glad you are back. I didn't do a lot of reading. I've read Defending Allye by Susan Stoker, Second Chance at Two Loves Lane by Kieran Kramer, Cowboy, Cross My heart by Donna Grant and Maybe For You by Nicole McLaughlin. 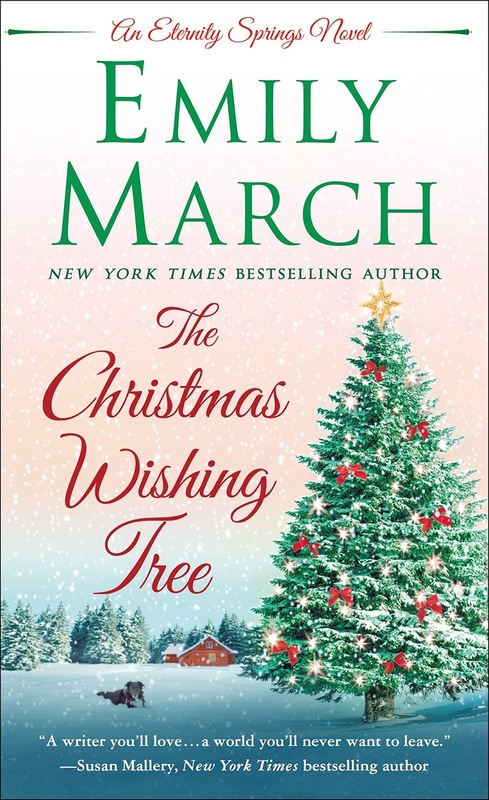 I am also looking forward to reading The Christmas Wishing Tree by Emily March. Thanks for the hugs and the welcome back, Pamela. I also read DEFENDING ALLYE but not the others. Hope you enjoyed them! Hi PJ, am glad you are home and not worse for wear from Florence. Have been thinking of you. And have to say that your last post gave enough book recommendations for me to substantially increase my list of books to read. Am grateful not to have been in the path of a hurricane and am at long last in the midst of moving back into the house from the fire that had surprised us earlier in the year. When people are reconstructing sections of the house and services are chosen for different types of cleaning, like textiles, electronics, furniture and contents, one forgets that someone still needs to also clean out all of the shelves and cupboards before items can be replaced in a home. *shakes cleaning cloth and fist at the ceiling* Move in ready, indeed. Have recently read Linda Howard's The Woman Left Behind and loved it. She always manages to make me believe the characters are completely real and that I am the lucky fly on the wall. Was browsing a used bookstore and found an interesting memoir/cookbook called Memoirs and Menus: The Confessions of a Culinary Snob, it is said to be a memoir of pre-war Shanghai but with recipes. Seems like the kind of book to open anywhere and peruse. Plan to do that after a hot bath. Am really looking forward to A Willing Murder by Jude Deveraux. Had just heard she had written a mystery with another due out early next year. Can't wait to see what she does in that genre. Hi Lil! So happy to hear you're finally moving back into your house but sorry about all that extra cleaning you're having to do. I have the Linda Howard book on my tbr. I really need to move it up the list. I love those memoir/menu type books! You'll have to let us know what you think after you've had a chance to peruse it. Welcome back, PJ. I'm glad that you survived "Florence". I've read a few good books, some of which are Lorraine Heath's "Texas Glory", and "Texas Destiny". (Swoon). I'm now waiting for "Texas Splendor" to come out next month. I also read The "Darkling Bride", which was a little bit dark for me. Yesterday, I finished reading "A Lady's Guide to Etiquette and Murder" by Dianne Freeman and "An Irresistible Earl" by Galen Foley. I loved those books, too. I had read a few of Galen's previous books in the Inferno Club series, but for some reason, missed out on this one. Needless to say, I loved it. I'm looking forward to Tessa Dare's book, "The Governess Game", Kerrigan Byrne's book, "The Duke with the Dragon Tattoo" and Lorraine Heath's book, "When a Duke Loves a Woman". Oh, and Shana and Theresa's book looks very good, too. Lots of good books in that list, Diane! I love Heath's writing but haven't started her Texas trilogy yet. Glad to hear you're enjoying it. PJ - Welcome back to those of us who love you and have missed you. I am very glad you are safe and sound....and that Florence has not wiped you out. May I suggest that you treasure you - take care of you. It has been a difficult time, so you deserve a little pampering. I am looking forward to the Romain and Galen book. I read the Emily March book (I had never read her before - I am an idiot) I loved it. I read the Dragon Tattoo book and really liked it too. And several others - I have read some really good mysteries recently. Please - rest when you need to - drink fluids - watch the sunrises and sunsets when you can - listen to bird songs - and most of all remember that you are a special human being. Lucky you, to have just discovered Emily March's Eternity Springs! What wonderful stories you have waiting for you. I have found the site and I will use it - If it is half as good as the people say it is, I will be blessed. Thanks. Welcome back PJ. Please take care of yourself after all you've been through lately. I'm so glad you made it through Florence without any problems. I am looking forward to the Romain and Galen book. I just started the Emily March book. I have a couple of more ARCs to read that come out on the 25th. I also read & enjoyed Julia London's Suddenly Single which comes out on the 19th. Thanks, Eileen! Hope you're enjoying the March book as much as I did. It's been years since I read one of London's contemporaries. I may need to give that one a try. I just finished TO CATCH A TEXAS STAR by Linda Broday. I am trying to decide what to read next...a romantic suspense, medieval Highlander, or contemporary romance. We are in NE TN along the mountains and had prepared for the storm, but only got a little rain. The Red Cross opened a shelter primarily for evacuees. We had a family group of 23 come in from Lumberton, NC well before the storm hit. Smart people. We aren't sure how long they will have to wait to go home. Several others checked in over the weekend. My daughter hunkered down in Chapel Hill. She is in the married student dorm on the third floor on the UNC campus. She made a fort in the bathroom with her 7 year old daughter's stuffed animals, blankets, flashlights, and bike helmets. It ended up being a boring time waiting for something to happen. The rain did move in on Sunday. The elementary school called at 5 am this morning to say classes would be delayed for 2 hours, then calls again at 7 to say they were canceled. My daughter is a second year law student and is trying to figure out how she is going to catch up on her reading and how they will decide to make up classes. Her husband was out of town so she spent almost all her time trying to keep her daughter occupied. We are supposed to take them camping in two weeks, but I am not sure the place we were going on the coast is still there. I have been so busy with Red Cross events, both disaster and military related I haven't been able to think about what is coming out. Welcome back. I hope your heart is healing and the good memories are helping. I thought about you when I saw the path the storm would be taking. Glad to hear you only had slight effects. The people of Lumberton learned how deadly these storms can be the last time around. I don't think many of them stayed behind this time. So glad to hear your daughter and granddaughter are okay. Bless you and all who volunteer their time to help when people are in need. You truly are angels on earth. I've been reading the series of murder mystery books by Louise Penny. I am hooked. I've been hearing a lot about her books. I really do need to check them out. Welcome back PJ. Always a Blessing when we survive the many obstacles and heartache life puts in our paths. I read a book called The French Gardner by a new Author for me called Santa Montafiore and have continued reading as many books of hers as I could this past month. I haven't read her books yet but I have a few on my tbr. Glad to hear you're enjoying them. Welcome back - we missed you! I'm in PA so only getting more rain than usual so no complaints here. I've been catching up on historicals by Karen Ranney and enjoying them. And, of course, I'm looking forward to more historicals as always. So nice to have you back PJ! You were missed! The last book I read was Sarah MacLean´s Wicked and The Wallflower. I enjoyed it very much. I have been watching the news about Florence with heavy heart. My continent (Europe) wasn´t touched by it. Welcome back! We were spared any Florence-related weather. But, having survived Hurricane Harvey’s assault on Texas last year, we’ve been praying for all those affected by Florence. Among books I’ve recently enjoyed are T.J.Ellison’s Tear Me Apart, Tessa Dare’s The Governess Game, and Barbra Delinsky’s Before and Again. Welcome back with lots of hugs, PJ. Please take good care of yourself since it's quite a beating to have a loss like that. I'm so sorry and continue to keep you in my prayers. I switched from mainly reading historicals, as I usually do, to reading some contemps and new-to-me authors: Geissinger, Zapata, and Emma Chase. Also have some Kate Clayborn and Lucy Parkers to try. It really is such a change-up! That means of course I'm behind on my historicals, especially Eloisa James, Tessa Dare and Mary Balogh. Keep well, friend. Thinking of you, PJ. I was out at HRR in Calif while the storm hit in N Carolina. Luckily, we weren't hit by the hurricane/storm on Long Island. I have been doing some rereads of older books by Kristan Higgins. Looking forward to Cowboy Honor by Carolyn Brown, which comes out next week. I'm glad to hear you're doing better and of course that Florence didn't hit you too hard. 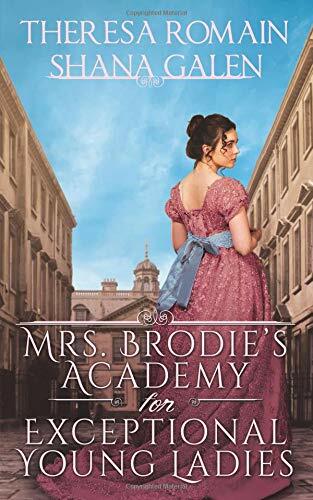 I just finished Mrs. Brodie's Academy for Exceptional Girls and I of course loved it. I'm looking forward to A Notorious Vow by Joanna Shupe and Katie Reus' Hunting Danger. Welcome Back. Glad you survived Florence. No problem here either. Looking forward to all the new contemp Christmas books. Reading now Come Back To Me by Sharon Sala, recently enjoyed The Dogs of Christmas, by cried my eyes out last 60 pages, also read Jaci Burton's latest.